Novel trends in Web services technology challenge the assumptions made by current standards for process-based service composition. Most RESTful Web service APIs, which do not rely on the Web service description language (WSDL), cannot easily be composed using the BPEL language. 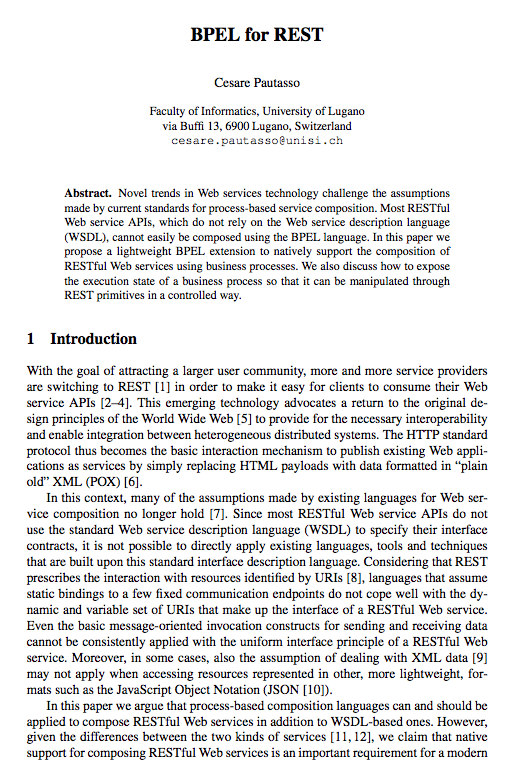 In this paper we propose a lightweight BPEL extension to natively support the composition of RESTful Web services using business processes. We also discuss how to expose the execution state of a business process so that it can be manipulated through REST primitives in a controlled way.